A 2-in-1 smoke and carbon dioxide system alarm, Safe & Sound works like other hardwired internet-connected First Alert products to send alerts to users' mobile devices when an emergency is detected. 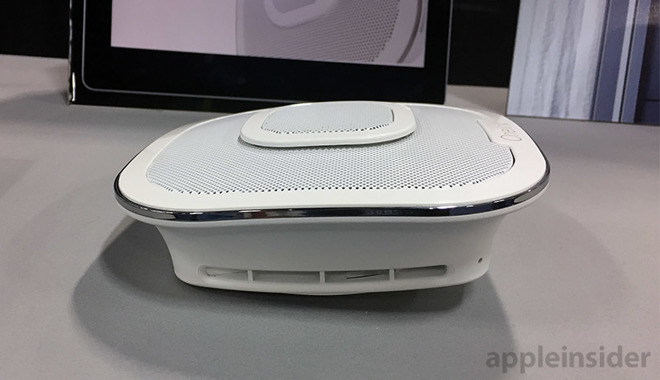 Unlike past products, however, the new device comes packed with high-end speakers and integrated noise-cancelling microphones, allowing it to transform into an in-ceiling entertainment system with support for both Apple's Siri and Amazon's Alexa voice assistants. According to First Alert, the speakers deliver immersive, omni-directional audio with "crisp vocals and powerful bass," akin to more common bookshelf speakers. Embedded microphones are able to hear user commands even while music is playing, granting voice control from anywhere in the house. While Alexa Voice Services come as an built-in feature, First Alert says AirPlay 2 will be integrated "upon availability," meaning home owners can use their iOS device to play Apple Music tracks and other content through the ceiling-mounted speakers. Considering smoke alarms are typically installed around the house, the Safe & Sound concept serves as an ideal counterpart to AirPlay 2 as users can leverage Apple's wireless protocol to play back and control content on a room-by-room basis. HomeKit compatibility ties data from Safe & Sound to the Home app for control, monitoring and management. The device installs into existing smoke alarm receptacles and connects to house wiring like a standard smoke alarm. 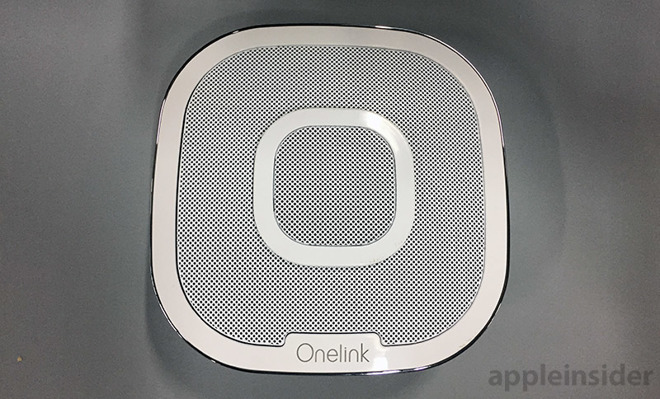 On the backend, Safe & Sound connects to the Onelink Home companion app, which lets users test and silence alarms, control entertainment settings and adjust nightlight color and brightness. First Alert's Safe & Sound is expected to ship in April for a suggested retail price of $249.